Disk Drill is one of the best partition recovery software applications. It works great when your PC has lost a file or folder or the first initial of the file name. Even though the partition gets deleted in no time, the disk sectors still store data. 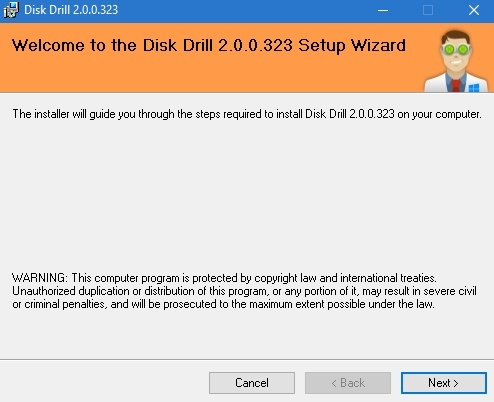 Disk Drill works for both Windows and MAc operating system. Let’s have a look at the app review. 1. If you have lost an important part of your computer, then you have no other option but to seek help to Disk Drill Recovery App. So, download the free data recovery software for Windows. 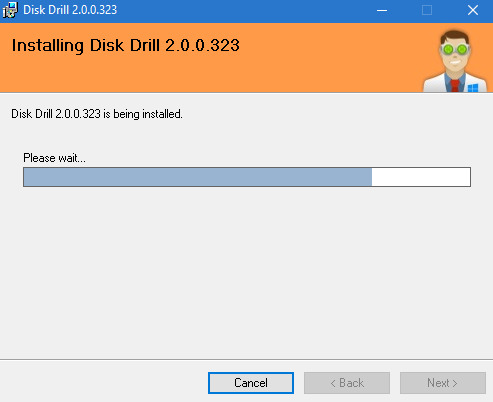 Download the .msi file of Disk Drill. Double click opens, click Next to continue. 2 Next, you will come across a series of instructions. Follow the instructions and get the installation started. The installation completes very quickly. The app then opens automatically. 3. The Disk Drill app user interface opens. At first, a basic guideline or tutorial will be provided to you. Then, the application will provide you the partition that can be recovered. Now that the partitions are in front of your eyes, choose the one you want to recover. Then click on Recover. 4. As soon as the recovery process starts, it will conduct few steps. The first step is a quick scan. 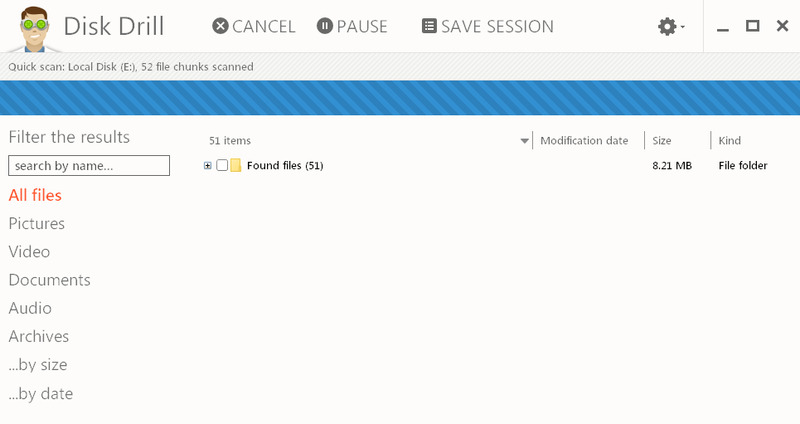 The quick scan will collect the possible recoverable chunks of files. The files that appear in the preview list can only be recovered. After the quick scan is complete, the deep scan or the second phase of scanning starts automatically. The deep scan is detailed and robust. it takes a lot of time. That is why, it gives you the option to pause the scanning. While the deep scan is still ongoing, you can check the real time data recovery results of the particular partition. If you are particular about your search criteria, you can search by file types to reduce the recovery time and hazard. After the scanning is accomplished, you will get a tree like a list of all recoverable items. This list is accompanied by a reconstructed items list. The Disk Drill recovery application is a well built, smartly designed recovery application that is straightaway efficient. The interface is user friendly and any normal user can use it without any help. The quick and deep scan process can be sved or paused. This freedom enables an user to use the app without any lag or loss. The algorithm is so designed that it can recover from any media that can be mounted to a Windows PC. Examples of such devices are internal hard drives, external hard drives,USB flash drives, memory cards, cameras, Kindles, iPods, etc. The Disk Drill recovery application by Pandora is really well structured and systematic. However, the free version allows you to recover only 500 MB data. This amount of data is too less when you want to recover an entire partition. So, for recovering big file chunks like partitions, we cannot reply on the free version. Other than the data recovery free version limitation, the software works just fine. You can use the app too!